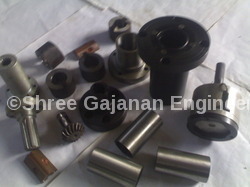 "Shree Gajanan Engineers" provide tool room part from year 2005. 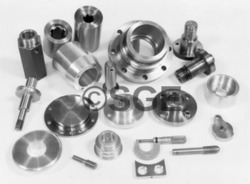 We are backed by a strong team to manufacture customized parts as per requirement. We supply precision machines component to many MNCs in Maharashtra. We keep our employees updated with changing trends in manufacturing. Delivery Time: 15 -20 days after Order. Packaging Details: Our packaging system is governed by standards. We use all kinds of packaging material i.e. bubble sheet, stretch wrap, wooden boxes etc. to ensure safety delivery of goods. Milling, And Radial Drilling Machines Of HMT And KIRLOSKAR Make, And MKL Cylindrical Grinding Machine (Landis). All Spare Parts Available Against Instruction Manual Part No. Or Against Sample And We Assured Quality Spare Parts At Competitive Price And In Time. 6. SUB-ASSLY CASTING HOUSINGS FOR DIFFERENT MCS. ALSO Parts For Following Models. MILLING MACHINE : FN-2, FN-2V,FN- 2H, FN-3, FN-3V, FN-3H, FN-3U. Looking for Tool Room Parts ?